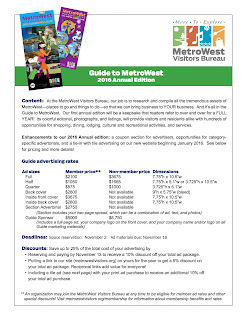 The Metro West Visitors Bureau is teaming up with the FDP to offer you some exciting opportunities. We told you about these last week (click here to see the original info). and now there are some new deadlines. Please take the time to read the information below if you have not done so in the past. DEADLINE to reserve space extended until November 6th – RSVP ASAP! This popular guide to the region provides visitors and residents alike with hundreds of opportunities for shopping, dining, lodging, cultural and recreational activities, and services packed into a colorful publication that people will refer to all year long! 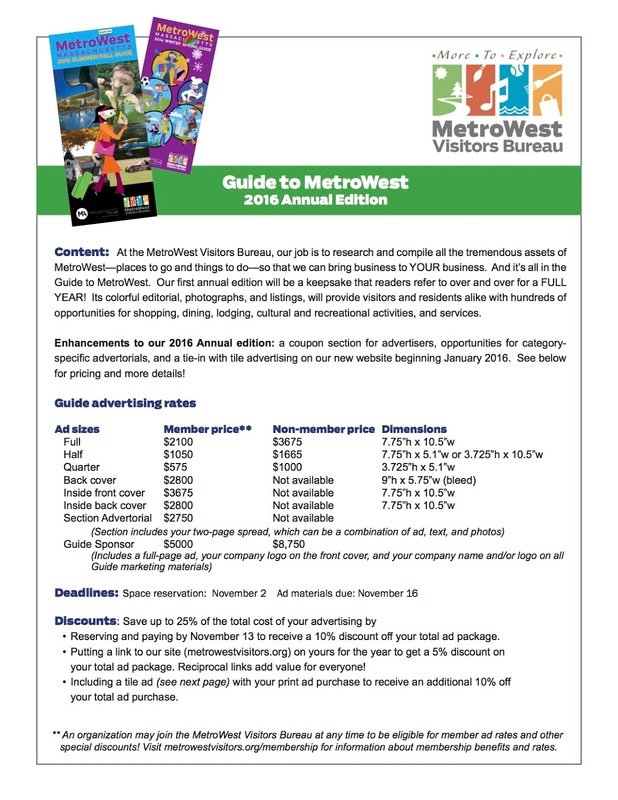 In this inaugural addition as an annual publication, the Guide will be enhanced with a wider format, a coupon section for advertisers, opportunities for category specific advertorials and a tie in with tile advertising on our new website beginning January 2016. Click here for pricing and more details! 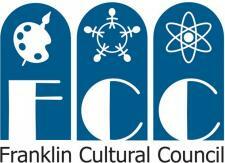 If you have any updates or changes to your member listing, please also send those to us by November 6th. MORE MetroWest Rack Cards - New marketing services and products – We’re ready to roll out our latest marketing initiative, the MORE MetroWest rack card series, with each focused on a different area of interest from rainy day activities for kids to gardens, museums, summertime fun, history, culinary delights, great fall events, shopping, etc. 15K of these cards will be distributed at businesses across MetroWest and beyond. We can include 4-6 businesses on each rack card. We’ll take care of all the design, production and distribution, and you reap the benefits of a great, low-cost marketing outlet for your business or service. Click here for pricing and details. 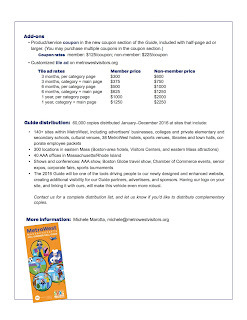 MORE Valuable Opportunities through the Mass Office of Travel & Tourism (MOTT)! Free Workshop - Focus on The United Kingdom – Join our colleagues from MOTT for this free workshop on Tuesday, December 1, at the State Transportation Building (10 Park Plaza, Suite 4510, Boston). Doors open at 9:00 a.m. With 183,000 travelers in 2014, the United Kingdom remains the #1 overseas travel market to Massachusetts. Save the date for an informative and interactive seminar on latest UK travel trends, airline service, and marketing tactics for the Massachusetts travel industry. Speakers and agenda to be announced. Space is limited so reserve your seat now! Are you a Green business in MetroWest – Let us know! MOTT’s new online program, MA GREEN, promotes Massachusetts as a green travel destination. MA GREEN provides hotels, attractions, restaurants, and retail establishments the opportunity to share information about their environmental practices with visitors. And it provides resources to help tourism businesses develop or expand green programs. The program recognizes five national certification programs: LEED, Energy Star, Green Seal, Green Key, and Certified Green Restaurant. In addition all hotels, attractions, restaurants, and retail establishments that have a web page dedicated to their environmental practices are eligible for a link from their listing onmassvacation.com. To see the MA GREEN visitor content, click on the MA GREEN logo on massvacation.com’s home page or go to http://www.massvacation.com/ma-green/ . Send your content to Alyssa MacPherson at alyssa@metrowestvisitors.org and we’ll share it with MOTT! Holidays Galore – MOTT is creating a separate landing page on its website for each annual holiday including Black History Month, Valentine’s Day, February Vacation, St. Patrick’s Day, April Vacation, Patriot’s Day, Mother’s Day, Memorial Day, Father’s Day, 4th of July, Labor Day, Halloween, Veteran’s Day Thanksgiving, Christmas/ Hanukkah, and New Year’s Eve/Day. These pages, which will be used to feature events from the regions, will be updated as early as possible to give visitors a chance to plan ahead. 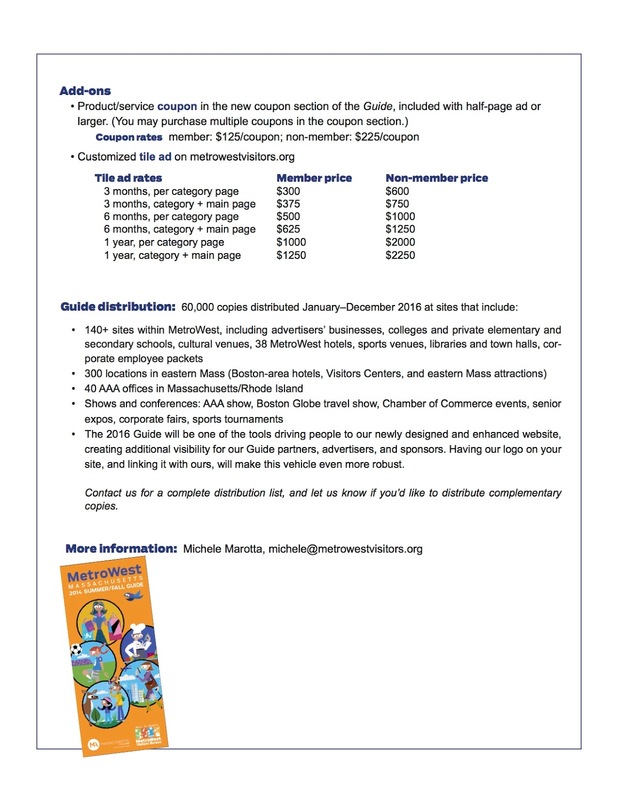 If you have holiday events to share, please email details such as organization/business name, date and url, to me at michele@metrowestvisitors.org. Are you Blogging? – Are you blogging about your business, products or services? We hope you will share that content with us! MOTT is seeking content for their blog, MA Finds (http://www.massvacation.com/blog/). Please send posts of no more than 200 words to me at michele@metrowestvisitors.org and we will share with our friends at MOTT. Many thanks for your partnership and support.